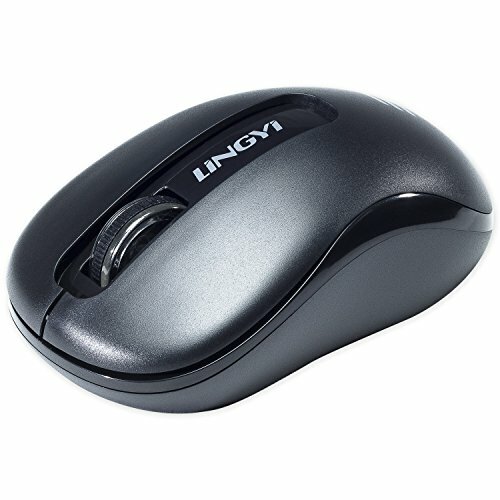 Read more Read more LINGYI 2.4GHz Wireless Mouse 3 Adjustable DPI levels: 800/1200/1600, you can choose the mouse speed you need. Setup step: Long press left+middle button 3 seconds=switch DPI (DPI value is not saved when power-down)(1200 is the default value). 2 Adjustable polling rate: 125Hz, 250Hz. Setup step: Long press Right+middle button 3seconds=report rate (switch between 250 and 125, the default is 250, power-down is not saved) Smart code-free design: Wireless mouse with Nano receiver. Insert the Nano USB receiver into your computer that you can use the wireless mouse. Portable and durable: It's small and easy to carry. Not only for work, also for travel. It have passed 9,000,000 times keystroke test to durability. Power saving design: Keep not moving 3 seconds will enter into Level 1 dormancy; when not moving mouse for 30 min, the LED will turn off and enter into Level 2 dormancy; Unplug the receiver or turn off the PC,the LED will turn off automatically; when the LED is off, press the key or the wheel to turn on; Press the key to turn on, the first press does not effective(to prevent misuse), it needs to be pressed twice times.